How do you make the Webelos-to-Scout transition seamless? By planning and coordinating efforts, the pack and troop can give all of the Webelos a chance to experience the fun and excitement of Boy Scouting. It’s not too early to prepare for Webelos Transition. 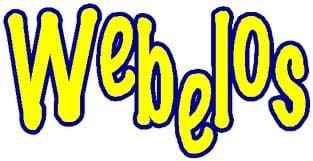 On the district website under Membership/ Webelos Transition, we have resources designed to assist you in the process. The district will be working with all packs to make sure they have a solid troop connection and transition process in place. “Be Prepared” is not only the Scout Motto, it’s our plan of action.